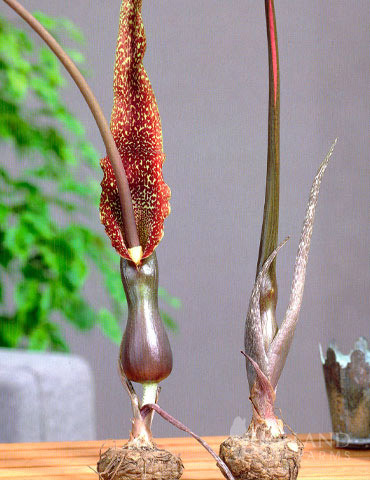 Also known as Voodoo Lily, Arum Cornutum is a unique bulb to add to your summer garden. This unusual deep crimson red plant is sure to get people commenting on your yard. Plant in a well lit area with properly drained soil.